Selected recent presentations described below can be viewed at: http://www.slideshare.net/millerrk. Other slides and handouts are linked below. Farabaugh, D.; Mackley, A., Miller, R. K.; Steffy, C.; Pike, S.; & Williams, C. (PA Forward Information Literacy Team). (October 2018). Leading with information literacy in a post-truth world. Poster presentation at the Pennsylvania Library Association (PaLA) 2018 Conference, as part of the 2018 Legislative Day for Libraries, in Harrisburg, PA.
Porterfield, J. & Miller, R. K. (September 2018). The power of primary sources: Integrating archives into the critical information literacy classroom. Workshop facilitated at the 2018 European Conference on Information Literacy (ECIL) in Oulu, Finland. Miller, R. K. (September 2018). A post-truth world survival guide. A MARY Talk presented as part of the William & Mary Women's Weekend in Williamsburg, VA.
Smith, H. & Miller, R. K. (May 2018). Sustainable collaboration: Information at the crossroads of libraries and Extension. Presentation at the 16th USAIN Biennial Conference in Pullman, WA. Did not attend conference. Benjes-Small, C., Miller R. K., Kocevar-Weidinger, E., & Wittig, C. (May 2018). Dear Instructionista...: Perspectives on instructional dilemmas. Presentation at The Innovative Library Classroom 2018 in Radford, VA. Presented remotely. Miller, R. K., Reiter, L., & Burchill, M. (November 2017). Translating research into community growth: Creative library support for Cooperative Extension. ALA webinar. Miller, R. K. (August 2017). Intersection: Reference partners outside SCL and Technology. Invited presentation for the Intersections: Technology and Public Services in Special Collections Symposium, University Park, PA.
Miller, R. K., Pressley, L., & Donovan, C. (June 2017). From teaching to leading: A learning-centered management bootcamp. ACRL program at the 2017 American Library Association Annual Conference, Chicago, IL. Miller, R. K. (June 2017). So, you're a new instruction librarian. Invited presentation at the 2017 American Library Association Conference Chicago, IL. Wissinger, C., Raish, V., Miller, R. K., & Borrelli, S. (June 2017). Expert perspectives in library instruction; Or, a nursing librarian, online learning librarian, information literacy librarian, and assessment librarian walk into a bar.... Poster presentation at the 2017 American Library Association Annual Conference, Chicago, IL. Miller, R. K. (May 2017). Teaching, learning, and leading: Be a professional triple threat. Invited keynote presentation for The Innovative Library Classroom 2017, Radford University, Radford, VA.
Miller, R.K., Langley, A., Nero, N., Pressley, L., Rockenbach, B., Ruttenberg, J., Tancheva, K., & Vine, R. (March 2017). Anchors aweigh! Navigating new directions for library liaisons. Panel presentation at ACRL 2017, Baltimore, MD. Pressley, L., Cohen, S., Duckett, K., Miller, R.K., & Nickel, L. (March 2017). Taking the wheel: Charting a course for a professional transformation. Panel presentation at ACRL 2017, Baltimore, MD. Miller, R. K., Nevius, E., Free, D., & Arnold-Garza, S. (March 2017). Publish with ACRL--ACRL Publishing panel. Panel presentation at ACRL 2017, Baltimore, MD. Miller, R.K., Salem, J., & Borrelli, S. (October 2016). Identifying, evaluating, and cultivating partnerships: A framework for success. Poster presentation at the 2016 Pennsylvania Library Association Conference, Pocono Manor, PA.
Feerrar, J. & Miller, R. K. (May 2016). Building a balanced portfolio: Investing in TAs and other contingent faculty. Presentation at The Innovative Library Classroom 2016, Radford, VA.
Miller, R. K. (March 2016). From point A to point B: Gaining momentum through transitions and new types of collaborations. Invited keynote presentation for the Maryland Information Literacy Exchange (MILEX) Spring 2016 Meeting, Columbia, MD. Miller, R. K. & Pressley, L. (January 2016). ARL Library Liaison Supervisors Meeting. Invited speakers for the meeting at the 2016 American Library Association Midwinter Meeting, Boston, MA. Miller, R. K. & Pressley, L. (December 2015). SPEC survey webcast on the Evolution of Library Liaisons. ARL webcast offered as part of the SPEC survey series. Feerrar, J. & Miller, R. K. (October 2015). Student, teacher, and partner: Understanding and supporting the many roles of graduate teaching assistants. Presentation at the VLACRL Conference-within-a-Conference held during the 2015 Virginia Library Association Annual Conference, Richmond, VA.
Miller, R. K., Palmer, S. S., Henry, S., Pannabecker, G. & Land, E. (October 2015). So you want to get published. Panel presentation at the 2015 Virginia Library Association Annual Conference, Richmond, VA.
Miller, R. K., Walz, A., Craig, A., & Faulkner, A. (October 2015). Exploring openness in libraries. Panel presentation at the 2015 Virginia Library Association Annual Conference, Richmond, VA.
Miller, R. K. (June 2015). Self-directed learning that supports the learner: Three case studies from Virginia Tech. Invited panelist for Library Instruction Round Table (LIRT) program Help yourself: Library instruction that supports self-directed learning, at the 2015 American Library Association Annual Conference, San Francisco, CA. Miller, R. K. (May 2015). Teaching with and about tablets. Invited workshop for the Roanoke Valley Library Association Spring Program, Roanoke, VA.
Miller, R., DeBose K. G., & Meier, C. (May 2015). Underage thinking: Building tomorrow's researchers through new campus collaborations. Presentation at LOEX 2015, Denver, CO. View slides and handouts here. Miller, R. (March 2015). Individual adaptation: Interdisciplinary perspectives on personal identity and learning during organizational change. Contributed paper at ACRL 2015, Portland, OR. Read the proceedings paper here. View the slides here. Pressley, L., Miller, R., Duckett, K., Cohen, S., & Nickel, L. (March 2015). Sustainable organizational change: It's about the people. Panel session at ACRL 2015, Portland, OR. View the notes document here. Stack, M., McConnell, K., Meier, C., & Miller, R. (February 2015). A collaborative approach to improving first year students' information literacy skills. Presentation at the 2015 Conference on Higher Education Pedagogy, Blacksburg, VA.
Benjes Small, C. & Miller, R. K. (October 2014). Out with the old, in with the new? Exploring ACRL's proposed Framework for Information Literacy for Higher Education. Meet-up session at the 2014 Virginia Library Association Annual Conference, Williamsburg, VA.
Dietz, K. & Miller, R.K. (October 2014). To "cultivate composure": Practical advice for information professionals from the 19th century home. Presentation at the 2014 Virginia Library Association Annual Conference, Williamsburg, VA. View the slides here. VLA New Members Round Table. (October 2014). The library job interview panel. Panelist at the 2014 Virginia Library Association Annual Conference, Williamsburg, VA.
Selberg-Eaton, R. & Miller, R. K. (October 2014). Inquiring minds: Building information skills in a large first year experience course. 21st National Conference on Students in Transition, Denver, CO. [Did not attend]. Miller, R. K. & Crickenberger, S. (October 2014). Collaboration, information literacy, and troublesome knowledge: Threshold concepts in the real world. Presentation at the 2014 Georgia International Conference on Information Literacy, Savannah, GA.
Benjes-Small, C. & Miller, R. K. (May 2014). Reframing the Standards: A call for a new approach to defining proficiencies for instruction librarians. Presentation at The Innovative Library Classroom 2014, Radford, VA.
Miller, R. K., Debose, K. G., & Merrill, M. (May 2014). Stewarding our first year students into the information ecosystem. Presentation at the 14th USAIN Biennial Conference, Burlington, VT.
Miller, R. K. (April 2014). From technolust to teaching tools: Inspiring innovation in library instruction with mobile devices and apps. Invited presentation at the Texas Library Association Annual Conference 2014, San Antonio, TX. Crickenberger, S. & Miller, R. K. (February 2014). Effectively integrating information literacy: A conversation about threshold concepts and collaborations. 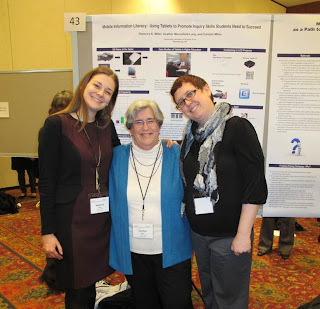 2014 Conference on Higher Education Pedagogy, Blacksburg, VA.
Selberg-Eaton, R. & Miller, R. K. (February 2014). Evolving the First Year Experience course: New practices for integrating information literacy. 2014 Conference on Higher Education Pedagogy, Blacksburg, VA.
Selberg-Eaton, R., Wood, C., Miller, R. K., & McConnell, C. (October 2013). Six departments, two hundred students, and six learning outcomes in a one credit first year seminar. Annual Conference of the International Society for Exploring Teaching and Learning, Orlando, FL. Benjes-Small, C., Tucker, K., & Miller, R. K. (September 2013). Committees: Necessary or necessary evil? Presentation at the 2013 Virginia Library Association Annual Conference, Williamsburg, VA. Presentation available on the VLA presentation website. Anderson, M., Hurst, E., & Miller, R. K. (2013, July). There’s an app for that! The use of mobile devices, apps, and resources for health and sci-tech librarians and their users. Invited panelist at the 2013 American Library Association Annual Conference, Chicago, IL. Akbar-Williams, T., Kelley, J., Knoch, J., & Miller, R. K. (2013, June). Bringing the Immersion program back home. Panelist at the 2013 American Library Association Annual Conference, Chicago, IL. Miller, R. K. & Hall, T. (2013, May 21). Invited encore presentation of You Had Me at Hello: Developing Meaningful Professional Connections. Presentation at the 2013 Virginia Library Association Paraprofessional Forum Conference, Richmond, VA.
Miller, R. K. & Flinchum, N. (2013, May 21). Selecting and using technology tools for collaborative projects. Invited presentation at the 2013 Virginia Library Association Paraprofessional Forum Conference, Richmond, VA.
Meier, C. M., Munson, J., & Miller, R. K. (2013, May 9). The time is now, the need is now: A teaching boot camp for new library instructors. WILU 2013, New Brunswick, Canada. Miller, R. K., Barb, C., & Hall, T. (2013, May 4). Library's got talent! New library instructors discover their voices. Presentation at LOEX 2013, Nashville, TN. Emerging Leaders 2012 Project Team C. (2013, April 12). Braving the new world: What do online library instructors need to know? Virtual webcast presentation at the 2013 Association of College & Research Libraries (ACRL) Conference, Indianapolis, IN. Miller, R. K., Moorefield-Lang, H., & Meier, C. (2013, February 6). Mobile information literacy: Using tablets to promote skills students need to succeed. Poster presentation at the 5th Annual Conference on Higher Education Pedagogy, Blacksburg, VA.
Moyo L. M., et al. (2013, February 6). Developing teaching proficiencies for new instructors through a learning community. Poster presentation at the 5th Annual Conference on Higher Education Pedagogy, Blacksburg, VA.
Miller, R. K. & Meier, C. (2012, October 26). Teaching with Tablets: Strategies, Apps, and Other Resources for Engaging Students. Presentation at the VLACRL Conference-within-a-Conference held during the 2012 Virginia Library Association Annual Conference, Williamsburg, VA.
Miller, R. K., Stovall, C., & Lindblad, P. (2012, October 25). Situating a Credit-bearing Research Skills Class in the English Curriculum. Poster presentation at the VLACRL Conference-within-a-Conference held during the 2012 Virginia Library Association Annual Conference, Williamsburg, VA.
Miller, R. K. & Hall, T. (2012, October 25). 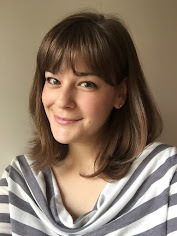 You Had Me at Hello: Developing Meaningful Professional Connections. Presentation at the 2012 Virginia Library Association Annual Conference, Williamsburg, VA.
Miller, R. K. & Meier, C. (2012, July 17). iPads in Libraries. Invited presentation for the VLACRL Summer Program, Blacksburg, VA. Emerging Leaders 2012 Project Team C. (2012, June 22). Professional Development for Online Instruction Librarians. Poster presentation at the 2012 American Library Association Annual Conference, Anaheim, CA. Miller, R. K. (2012, May 17). Virtual Tools, Real Collaboration. Invited presentation at the Virginia Tech University Libraries In-Service Day 2012: The Age of Transformation, Blacksburg, VA.
Miller, R. K. & Meier, C. (2012, May 5). Bringing More to the Table(t): Ideas and Insights for Using Tablets in Instruction. Presentation at the 2012 LOEX Conference, Columbus, OH. Miller, R. K. & Meier, C. (2012, April 18). Integrating iPads and Tablet Computers into Library Services. Invited presentation at the Florida Library Association 2012 Conference, Orlando, FL. Miller, R. K. (2011, April 12). Aligning Information Literacy with Curricular Requirements and Engaging Students: A Case Study of Social Information in Dietetics. Presentation at the Librarians' Information Literacy Annual Conference (LILAC) 2012, Glasgow, Scotland. Miller, R. K., Meier, C., & Moorefield-Lang, H. (2012, March 8 & 15). Encore presentation of Integrating iPads and Tablet Computers into Library Services. Two-part webinar series for ALA TechSource Workshops. Goldbeck, K., Meier, C., Miller, R., & Tomlin, P. (2012, February 9). Get Thee to the Library! Incorporating Inquiry into First Year Programs. Presentation at the 4th Annual Conference on Higher Education Pedagogy, Blacksburg, VA.
Meier, C., Miller, R. K., Goldbeck, K., Tomlin, P., & Holloway, R. (2012, January 27). VALUE-ing the Librarian: Collaboration to Enhance Student Learning in a High-Impact Practice. Presentation at the 2012 American Association of Colleges & Universities Annual Meeting, Washington, D.C.
Miller, R. K. (2011, October 27). Sustaining Your Professional and Scholarly Identity in the Digital Environment: Strategies for Virginia Librarians. Presentation at the 2011 Virginia Library Association (VLA) Conference, Portsmouth, VA.
Miller, R. K. (2011, October 27). Teaching an Old Blog New Tricks: Rethinking the Subject Blog. Poster presentation at the 2011 VLACRL Conference-Within-a-Conference during the 2011 VLA Conference, Portsmouth, VA.
Miller, R. K., Meier, C., & Moorefield-Lang, H. (2011, October 13 & 20). Integrating iPads and Tablet Computers into Library Services. Two-part webinar series for ALA TechSource Workshops. Follow-up blog posts available for Part 1 and Part 2. Miller, R. K. (2011, July 13). Professional Development in Challenging Times. Invited presentation for the Roanoke College & Hollins University Libraries Staff Workshop Day, Roanoke College, Salem, VA.
Meier, C., Miller, R. K., Merrill, M., & Moorefield-Lang, H. (2011, May 25). Inquiry and Why it is Important. Presentation at Camp QEP: a preparing for Pathways to Success workshop, Blacksburg, VA.
Miller, R. K. (2011, May 25). Say What? An Analysis Discussion of Virtual Reference at the University Libraries. Presentation at the Virginia Tech Libraries' Research and Instructional Services Summer Workshops, Blacksburg, VA.
Meier, C., Miller, R. K., Merrill, M., Moorefield-Lang, H., & Moyo, L. (2011, May 25). QEP, FYE, and ENGL: The Changing Landscape of Instruction and First Year Students at VT. Presentation at the Virginia Tech Libraries' Research and Instructional Services Summer Workshops, Blacksburg, VA.
Miller, R. K. (2011, April 2). Achieving Subject Blog Success. Part of the IdeaPower Unconference at the Association of College & Research Libraries 2011 Conference, Philadelphia, PA.
Miller, R. K. & Hall, T. M. (2011, April 1). Life, Librarianship, and the Pursuit of Happiness: Early Career Librarians Speak Out. Roundtable discussion at the Association of College & Research Libraries 2011 Conference, Philadelphia, PA.
Meier, C., Miller, R. K., Merrill, M., Moorefield-Lang, H., & Moyo, L. (2011, February 3). Integrating Inquiry: Student-Centered Approaches for Inspiring Lifelong Learning. Presentation at the 3rd Annual Conference on Higher Education Pedagogy, Blacksburg, VA.
Miller, R. K. (2010, October 22). Professional Development in Challenging Times: Tools and Techniques for Keeping Current with Limited Resources. Presentation at the 2010 Virginia Library Association (VLA) Conference, Portsmouth, VA.
Miller, R. K. & Scripa, A. J. (2010, October 5). Discovery of Technology: Tools for Research Management and Interdisciplinary Collaboration. Presentation at the ACC Interdisciplinary Forum for Discovery in the Life Sciences, Blacksburg, VA.
Miller, R. K. and Wilkes, S. (2010, March 12). Professional Development for Underfunded Librarians. Presentation at the 84th Annual Louisiana Library Association Conference, Baton Rouge, LA. Miller, R. K. (2009, October 1). Screencasting: Options for Showcasing, Demonstrating, and Teaching LOUIS Library Resources. Presentation at the annual LOUIS Users Conference, Baton Rouge, LA. Presentation available: via the presentation wiki. Copyright Rebecca Kate Miller 2016. Awesome Inc. theme. Powered by Blogger.